On Saturday, the English language version of Asia’s largest massively-multiplayer online role-playing game launched on the App Store. 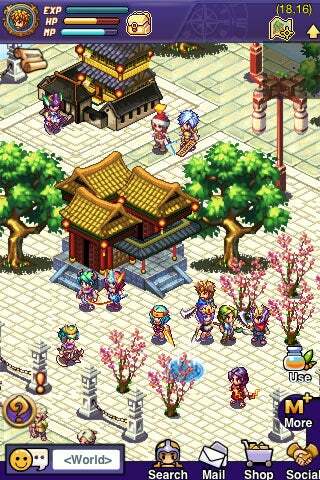 Empire Online, developed by Lakoo, is an anime-inspired adventure title that tasks players with building their own handheld kingdom. 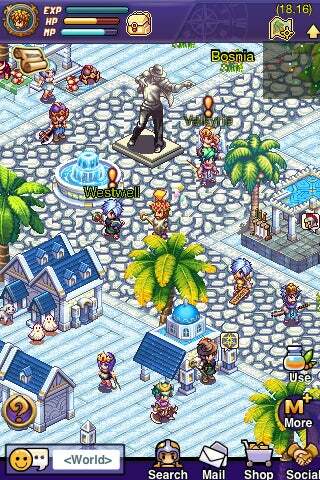 Free-to-play and swimming in nostalgia for classic RPGs, Empire Online looks ready to conquer the North American market. You'll also be able to customize your own empire—starting with its buildings. For many, the golden age of role-playing games was the early 90's. Games like Chrono Trigger, The Secret of Mana, and Final Fantasy 3 gave the era a distinctive artistic and gameplay flavor that has influenced developers ever since. With the iPhone and iPod Touch, these distinctive icons of gaming lore have experienced a welcomed revival. Now, developers like Lakoo are proving that iOS gamers don't have to just be satisfied with ports of famous titles—Lakoo is producing some pretty compelling new, original titles to breathe new life into the platform. Despite some retro graphics and cute artwork, Lakoo also promises a rigorous tutorial to ensure players understand the complex systems at work in the game. Players will first learn the essences of battling, quests, chat, equipment and empire-building when first entering the game. While the beginning stages behave similarly for all users, other areas in the game are constantly getting updates. Limited-time and special occurrence events can happen at certain parts of the game, like seeing a Christmas tree and unique holiday-themed mission around the holidays. Is that the King of Pop? Special tasks and quests can be found throughout the game, like this one which may or may not resemble a famous performer.